Diane and Miss Kitty on a walk. 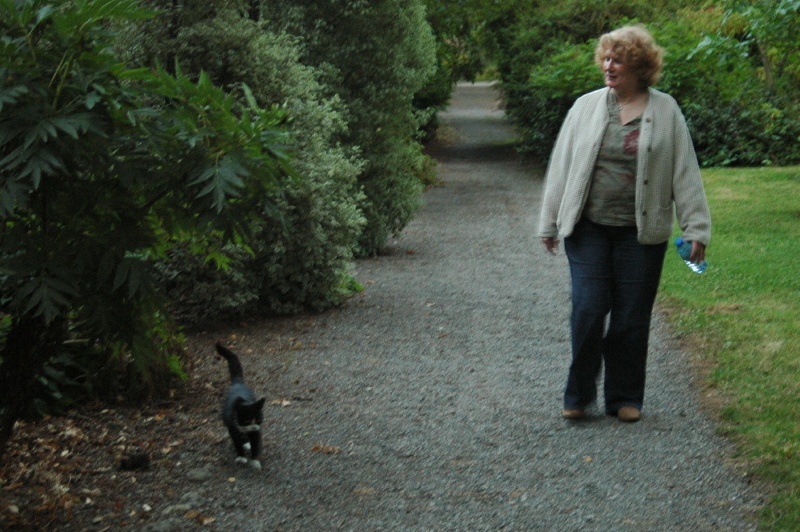 Once we had been there for a while, Miss Kitty became an eager tour guide for the Birr Castle Demesne. She happily accompanied us on our morning and evening strolls around the 100+ acre grounds and gardens of the lovely grounds.